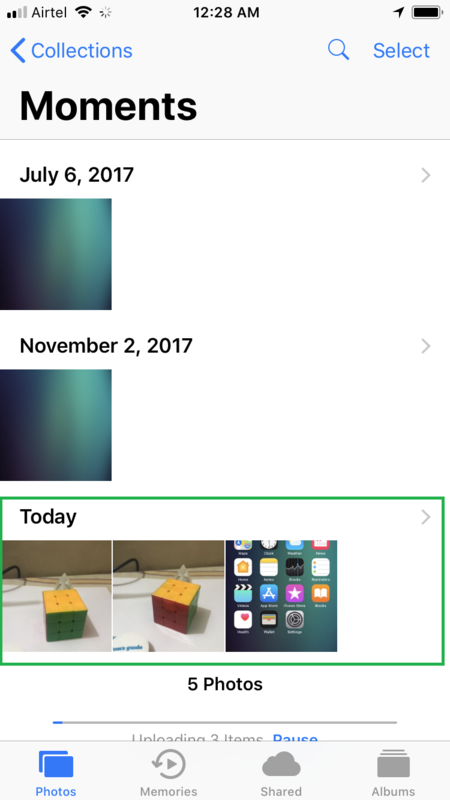 After you’ve added some new photos to your collection in your iPhone’s library either by clicking, or by transferring them from somewhere else, the new images may get jumbled up with the old ones making it hard for you to identify merely by looking at them. Luckily iOS automatically segregates them according to the date they were added. 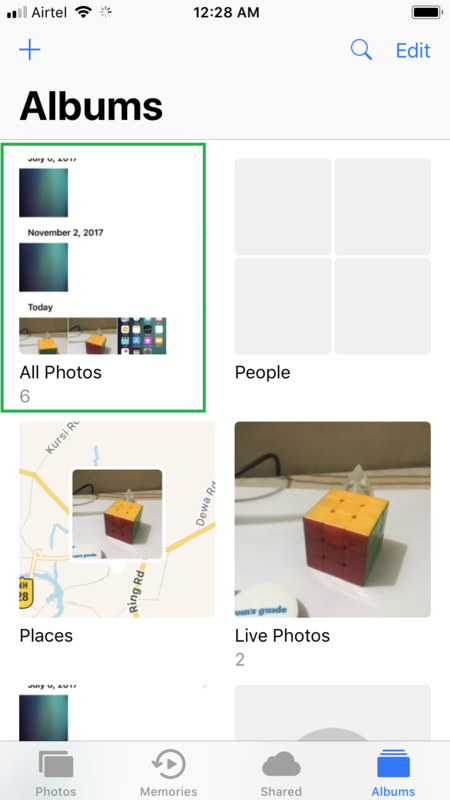 Also, the photos that you added/clicked the same day are present under the ‘Today’ category of the ‘Moments’ window in the ‘Photos’ app. Tap Photos from the Home screen. This launches the Photos app that opens up in the Moments window by default. Note: If you’ve used the app earlier and were working on any other window, the same window will open up when you start the Photos app again. In that case, you can tap the Photos icon from the bottom-left to get to the Moments window. Look under the Today section. This section contains the photos you added to your collection the same day. The other photos are also categorized date wise and can be seen under their corresponding dates in the Moments window itself. 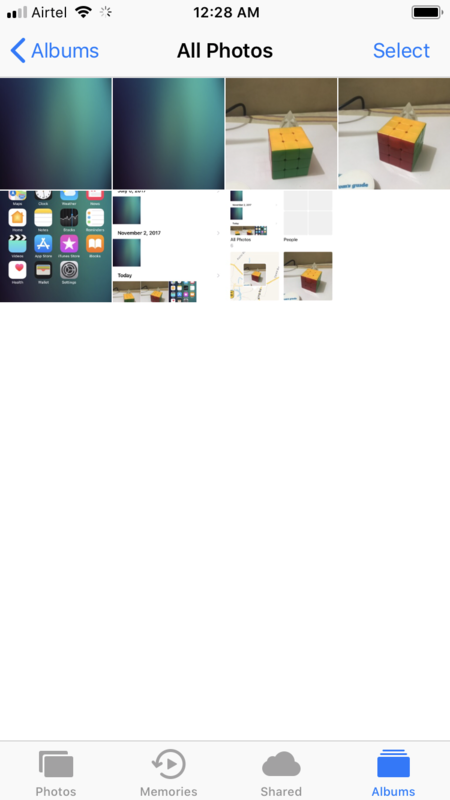 Tap Albums from the bottom-right corner, and tap All Photos from the Albums window. This opens the All Photos window where all your photos are present in and uncategorized manner. However, the most recently added photos can be found at the end of the collection. 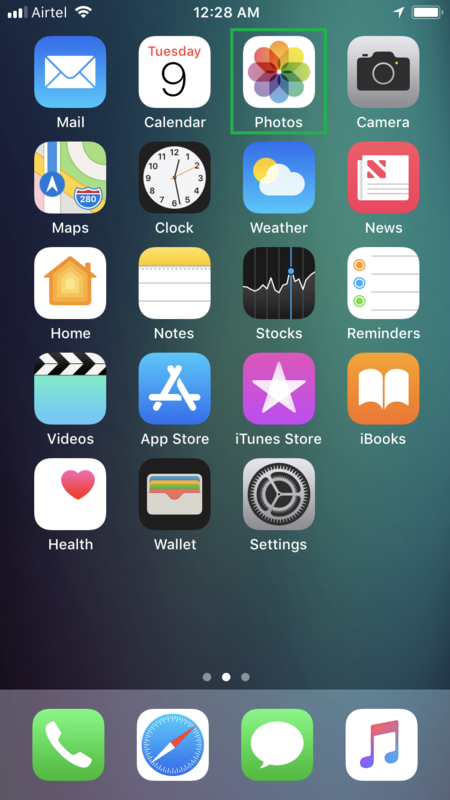 Downlaod facebook video to iPhone X Photos gallery App ? Can you turn a loop into a still photo? what keeps adding excessive usage to my 5c iphone?